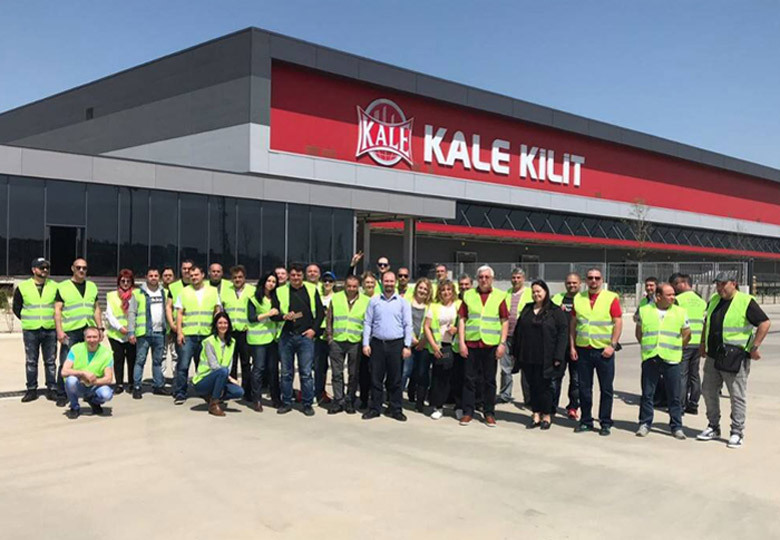 On April 12, 2018 Kara-Ka organized a visit to Kale Kilit's factory in Çerkezköy, Turkey – the largest production base in Europe. Dozens of our customers had the opportunity to get acquainted with the working process in the company and the team that takes care of the production of the finest products on the locking systems market. The factory in Çerkezköy was opened in 2016 as the latest addition to Kale Kilit's production base. It has an area of more than 100,000 square meters, which is successfully used for the manufacture of locks, cylinders, safes, door systems and windows. The second main base of the company with an area of 35 000 square meters is located in Güngören. This is also the first integrated factory for locking systems in Turkey, which was established in 1979. As an official representative of Kale Kilit for the Bulgarian and Serbian markets, Kara-Ka has the unique privilege of organizing a number of joint events and projects with the Turkish leader in manufacturing supplies for doors and windows. Among these exclusive initiatives was the visit of the factory in Çerkezköy, which was joined by a number of manufacturers and traders of locking systems, AL and PVC joinery.